Workers involved in drywall installation can suffer neck, back, shoulder and finger injuries, or even more serious ones such as traumatic brain injuries. Almost every type of work associated with construction is dangerous and can cause worker injuries. Of all the construction related activities such as crane operation, roofing and demolition, drywall installation may seem the safest, but it can still pose a serious safety risk to workers. Workers involved in drywall installation can suffer neck, back, shoulder and finger injuries, or even more serious ones such as traumatic brain injuries. In this post, our St. Louis work injury attorney will discuss how drywall installation workers can suffer work-related injuries. Heavy lifting: Drywall can be heavy, and workers often lift it while bending. This can cause back sprains and strains, and injuries to spinal discs that could require medication, surgery, and lengthy physical therapy. Repetitive motion: Drywall installation workers perform forceful, repetitive motions such as lifting, taping, cutting and sanding throughout the work day. This can cause injuries to the joints and muscles in their hands and backs. Some injuries can put limitations on what work and daily activities these workers can do. Awkward positions: These workers often work in awkward positions that can put a strain on their muscles, tendons and joints in their neck, back, hands and shoulders. Long working hours: Drywall installers have to work for long hours doing strenuous activities such as heavy lifting and performing repetitive motions. Lack of breaks and rest can make their injuries worse, because there is no time to heal. Falls: In construction workplaces, falls are the leading cause of fatalities. Drywall installers are at a high risk of falling off stairs, ladders, and other elevations, especially while carrying heavy sheets of drywall, which can make them lose their balance. Falls can lead to debilitating injuries such as serious fractures, head injuries including traumatic brain injuries and spinal cord damage. 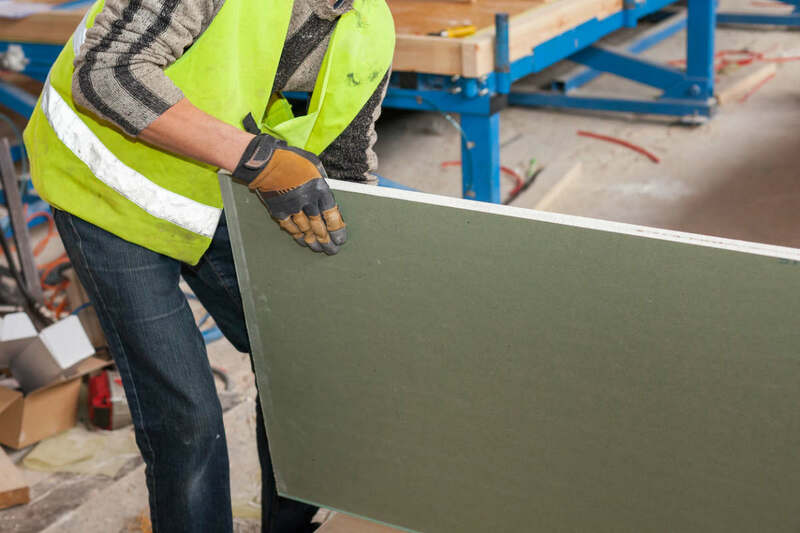 Cold workplaces: Drywall installers often have to work in cold work sites, and this can reduce circulation to the worker’s hands making it more likely that any repetitive motion will cause injuries. Work-related stress: Construction workers are often faced with a lot of stress, because of their fast paced nature of work, and the need to meet deadlines and rush to their next contract. This often causes the workers to fall from heights and off ladders, slip and fall, or engage in unsafe practices to get the work done quickly. If you are a drywall installation worker, who has been injured in the workplace, you may be entitled to workers compensation benefits. To ensure that you received all of the benefits you are entitled to under Missouri law, it is important that you speak with an experienced workers compensation attorney as soon as possible. Give us a call today at (314) 361-4300 for a free case evaluation.